December was mostly a wash out. I probably got about 10000 words during the whole month. So I made my resolution today to try to get back into my Sven routine. Fracture – which I’m going to read through right now – is a bit of a nightmare. I’ve got to about 16k on Chosen. But at the minute I’ve been inspired to tackle Lost Gods again. 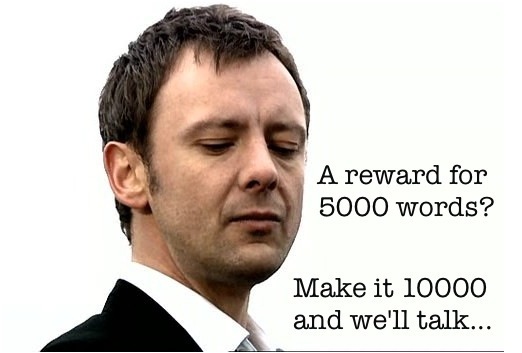 I just hit 5104 words on that… So, I’m reinstigating my reward system *grin* The Colonel will be sharing the system with someone else in 2008… The Master.